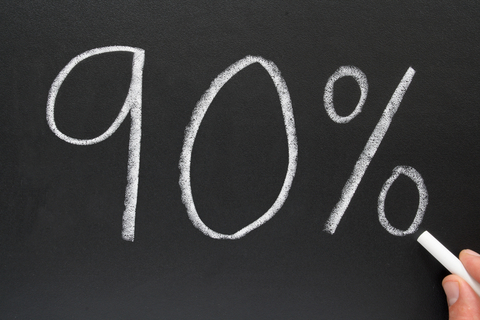 It’s not just candidates who should think in the other person’s 90%! Organizations also need to do so. Here is a recent situation that illustrates how important this is. A relatively “young” company wanted to recruit a sales representative. Beginning with an ad, phone screens, initial face-to-face interviews with at least 50 applicants, then multiple interviews with a few candidates, the company identified the individual they wanted to hire. They asked all the “right questions” during the process and determined the candidate could do the job. From assessments to referencing, they were thorough. They made the offer. At this point it got a “bit sticky.” The offer was substantially lower than the candidate anticipated, based upon her knowledge of the industry. During all the interviews there had never been any discussions about the organization’s compensation philosophy. The managers doing the interviewing only focused on what they wanted to know. They did not “sell” the candidate about the company, the position, and how it might benefit her. They did not find out what was important to her. The managers did not send any message to the candidate that they were interested in her as an individual. They were only interested in what she could do for them. They were operating in their own 90%! Even with this, the story does have a happy ending – at least for now. The candidate was working with a coach who helped her “think through” the situation. With this assistance, she was able to put the offer in perspective, and visualize what the position represented. Initially, it provided income – an immediate benefit. As an employee, she would learn more about the organization; she could evaluate if it offered her the career she wanted. From a short-term perspective the position fit her requirements. Since she had been in an extended job search, this was a good position to be in. She accepted the offer. Without the benefit of the coaches’ support the results may have been different. The candidate initially considered the offer as a career move, with much lower starting pay then she anticipated. This was unacceptable. However, by taking a short-term viewpoint, she recognized the immediate benefits, and now has time to determine if it really is a good fit. If she leaves relatively quickly, she will have benefitted more than the organization; employee turnover is costly. Hopefully it will work for both long-term. Recruiting is clearly a situation where a candidate’s needs must also be considered. Wonder what will happen the next time this organization wants to hire someone? What if there is not a coach in the background?